Mailchimp's new Ad Builder helps you build, submit, and pay for an ad—all in one place. No matter what Mailchimp billing plan you're on, you can purchase an affordable ad to target people on Facebook, Instagram, or both. Ads start as low as $5 per day, and Mailchimp doesn't charge you any extra fees. In this article, you'll learn about the billing process for our Facebook and Instagram ads. A pay-per-click social media ad created and purchased through Mailchimp. The social media platform where you want to publish an ad—Facebook, Instagram, or both. The maximum amount of money that you want to pay to run your ad. Facebook sets a minimum budget of $5 (USD) per day. The amount of money that was actually used from your total budget, based on how many people clicked your ad. The amount we'll credit you if there's leftover budget after ad completion (total budget minus final amount spent). You can use credits to run your ad again, or buy a new ad. So, how much does an ad cost? The budget depends on the audience size and the length of your ad's run on social media. You can spend a few dollars, or much more. It's totally up to you, so you may want to start small to experiment. We provide ads at cost, which means you only pay what Facebook or Instagram charges for an ad, and we don't add any extra fees. We rely on Facebook's automatic bidding for ad price determination. The price of their ads can fluctuate daily, depending on the demand for ads, the audience you choose, and other factors. Not to worry, though, because you'll never be charged more than the total budget that you set in the Ad Builder. And your credit or debit card won't be billed until you actually confirm your ad, so feel free to experiment with different audiences and timelines in the Ad Builder to determine the best budget for your brand. In Mailchimp's Ad Builder, you'll set your budget, which is the maximum amount you want to pay, and then submit your ad to Facebook. After submission, we'll charge you the total budget amount. When the ad is done, we'll deduct the ad's actual cost from your total budget based on the number of clicks the ad received. This means you'll only be charged for each person who clicks your ad on Facebook and Instagram. Sometimes, the amount spent may be slightly less than your initial budget. It takes about 72 hours after your ad is complete for us to calculate the final amount spent. If you end up with some extra budget left over, we'll store it in your Mailchimp account, so you can use it to run the ad again, or buy a new one. If you have some extra ad budget left over, or if your ad was paused or canceled early, we'll credit your account. Ad credits will be delivered to your account 72 hours after your ad's scheduled end date. To view your ad credit balance, follow these steps. Scroll to the Ad credits section to view your balance. Mailchimp will automatically apply any available ad credits to the budget of your next ad. Ad credits can only be used for the purchase of ads. Facebook may reject certain ads that don't fit their content standards. If this happens, we'll make sure your account gets credited with the surplus. You can use the ad credit to edit and resubmit your ad at no additional cost, or spend the credit on a new ad. If you don't resubmit the ad, you'll automatically receive the ad credit when your ad reaches the scheduled completion date. Read more about ad rejections and resolution in our article, After Facebook or Instagram Ad Submission. To see how much you're spending on ads, check out your ad statements on your Billing history page. 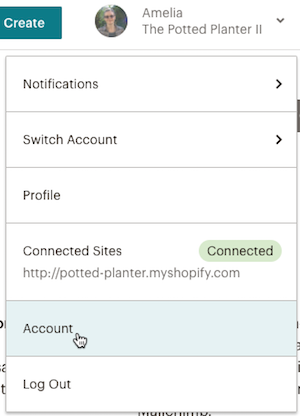 MonkeyRewards credits and other Mailchimp account discounts can't be used for purchasing ads.